The sun is still shining on the Riviera even in the quieter month of September. The main influx of tourists have returned home leaving a much more tranquil scene. With all the bars and restaurants still flourishing, why not take advantage of this more peaceful time of year, with warm seas and sunny days, it is to most a paradise on earth. But shhh, lets keep September our secret! With many yachts still available for a day or weekend charters for your Cannes yacht rental, the choice is yours! With the summer fast approaching, and the weather in Cannes constantly improving, we highly recommend looking into chartering a luxury yacht for a day. In this blog, we outline just three of the many fantastic options that you can choose from. As always, if you have any questions about chartering, please do contact us. Our first option for your day charter is the stunning AQUA BLUE, a Sunseeker Predator 74, accommodating for up to 6 guests overnight or 10 on a day charter. Her interior is both bright and airy, with a delightful blend of light wood and cream furnishings. 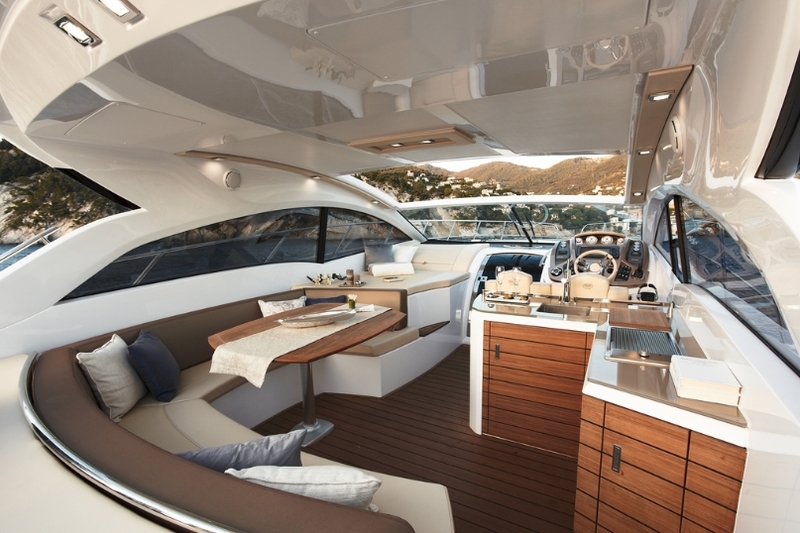 On the aft deck, and on the front of the yacht, there is some beautiful deck space for all guests to enjoy. Her crew are extremely professional, and will ensure that your day charter is nothing less than unforgettable. She is available for charter at a rate of €5,000 per day plus expenses. 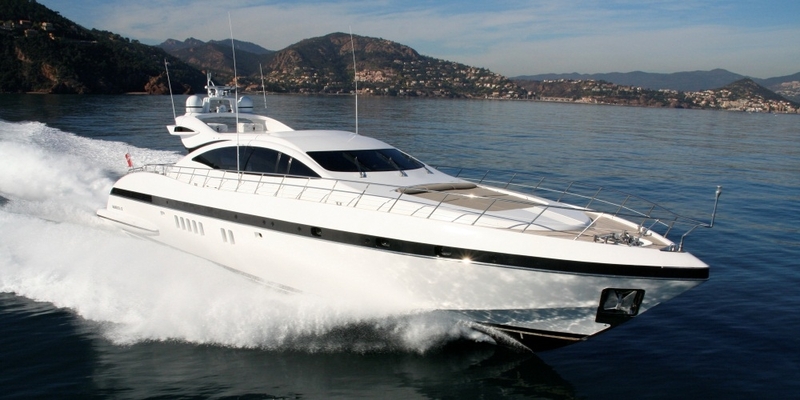 Our second choice for your day charter is DELHIA, a Mangusta 92, accommodating for up to 11 guests for day charters along the French Riviera. Charter Brokers Ben and Adam recently saw her and were both amazed by her crew and the food prepared on board. Ben said, about the food, “the preparation on DELHIA was second to none, I would highly recommend trying the chicken in soy and honey sauce!” She has a large open interior, and our favourite space on board was on the aft deck, DELHIA is available at a daily rate of €8,125 plus expenses. Our third and final option is a new yacht to the charter market. 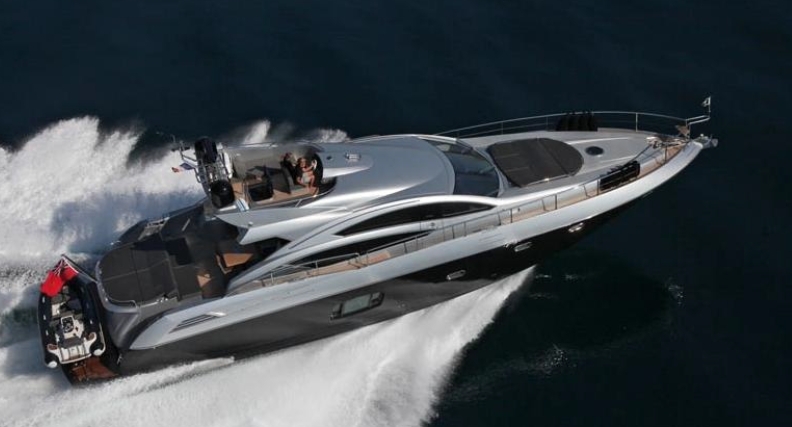 The Sessa C48, a slightly smaller option, offers guests an extremely luxurious day out on board. The Captain is absolutely fantastic, and he will make sure that you have an extremely special day out, whether you're planning a day to Monaco, Saint Tropez, or just a trip to the stunning Iles de Lerins. She accommodates for up to 10 guests for day charters, and is available at a rate of €2,500 plus expenses. We currently have a fantastic offer on her too, giving clients a VIP package on board. Guests will receive a bottle of champagne, fresh fruit, soft drinks and beach towels, all complimentary. Check out our website, www.boatbookings.com, and start searching for your luxury yacht charter on the French Riviera for this summer. We have a team of highly skilled professionals who are extremely knowledgeable in their destinations and will be able to help you bring together the yacht, the crew and all the other aspects that make your charter special. With so many people flocking to the French Riviera every summer, whether they choose Cannes, St Tropez, Nice or Monaco, it’s always nice to get away from the hustle and bustle of the towns and enjoy a bit of time to yourself. The best way to escape the busy beaches and jam-packed streets is to take to the sea! A day charter from Cannes gives you the chance to enjoy the French Riviera from a different perspective, you can cruise along the coast and enjoy the summer sun. Starting in Cannes, you can explore the Iles des Lérins, the forested islands just off Cannes, which are a perfect spot for a dip in the Mediterranean sea. Moving on from here, why not head to Cap d’Antibes for a fantastic lunch. One restaurant that comes highly recommended in Cap d’Antibes is Keller Plage, and another popular choice is the Hotel du Cap Eden Roc. The hotel offers both the Eden-Roc Restaurant and the Eden-Roc Grill & Lounge Bar. From here, you can enjoy stunning views across the Mediterranean, overlooking the Iles de Lérins, while sipping a cocktail or enjoying a range of Mediterranean style fine dining or some light tapas dishes. look at, she is also a fabulous yacht to be on board! Built in 2012, she is a combines modern and stylish design with comfort and practicality. The interior is beautifully furnished, with a light and neutral design. On deck there is space for al fresco dining or sharing some drinks, and the swim platform and sunbeds provide plenty of space to top up your tan! 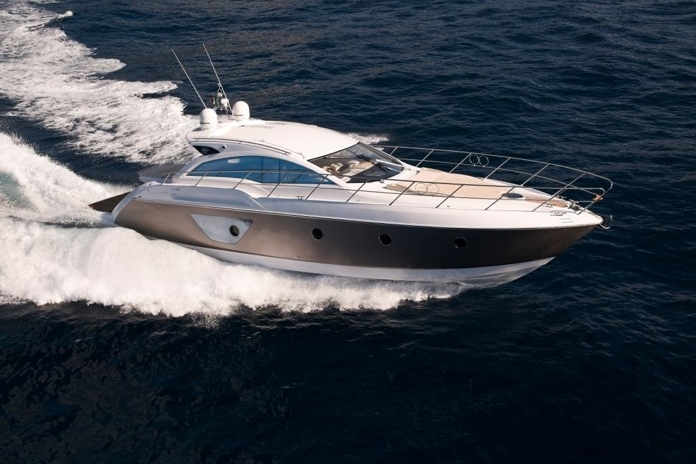 Available to charter from 2,500 € per day, you will have a fantastic day out on this Sessa.